For the fourth year in a row, the Creative Mobility Group will be a part of the North American International Auto Show in Detroit. The public show runs from January 17-25 at Cobo Center in Downtown Detroit. The exhibit is located in Hall E on the atrium level. On display, you will find a wheelchair accessible Chrysler Town and Country minivan, as well as the the Armstrong scooter lift. The Creative Mobility Group also has special offers going on in conjunction with the Detroit Auto Show, including Auto Show Bonus Cash. Be sure to take advantage of the Auto Show Bonus Cash the Creative Mobility Group is offering. Are you looking for a wheelchair accessible minivan? 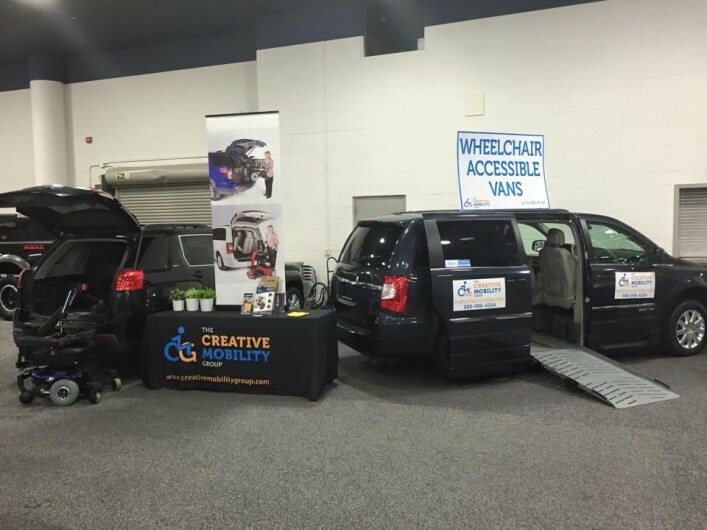 While at the show, check out the ElDorado Amerivan wheelchair accessible Chrysler Town and Country and sign up to receive a $1,000 instant rebate toward the purchase of your next accessible van. The Creative Mobility Group is also offering a $300 instant rebate toward the purchase of the Armstrong scooter lift. Visit the exhibit for more information. Early access is available for people with special mobility needs starting at 8:00am each day. Enter through Hall C for early access. The first option would be the Cobo Center Garage, however, take note that spaces are extremely limited and will go quickly. The next alternative is parking on the Cobo Roof Deck. Walking a short distance, the Millennium Garage is the third option. If special parking assistance is required, contact 313.877.8777. There is also a drop-off and pick-up circle located on the Southwest corner of Washington and Jefferson in front of Cobo Center.